"CAROL, tell Nige to bring the car around. This is in the bag and I'm off to Tiger Tiger." 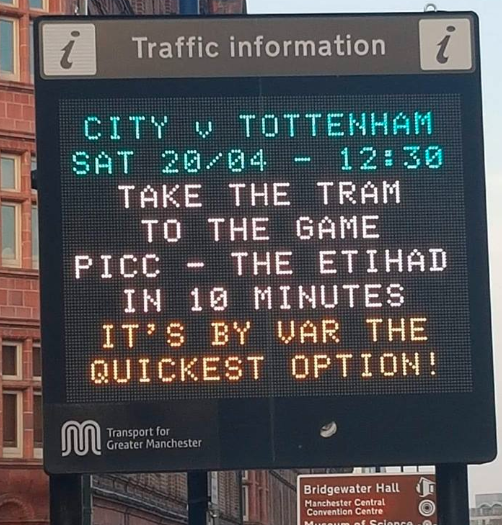 United fan operating Manchester traffic information boards and not giving a single f*ck.